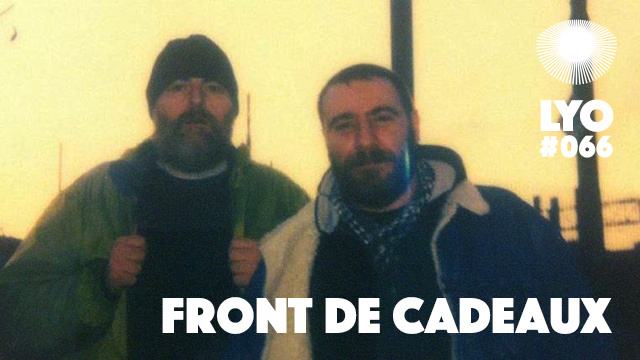 Front De Cadeaux is a producer and DJ duo comprised of Hugo Sanchez aka Hugosan from Rome, and DJ Athome from Brussels. 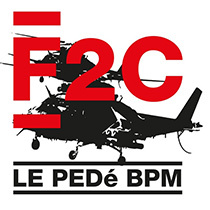 They released their first single Le PédéBPM in 2014 on Roccodisco, an Italian label founded by Hugosan himself and Rodion. The track was remixed by Fabrizio Mammarella and the duo quickly gained support from established DJs such as Erol Alkan or Ivan Smagghe. Their second EP followed a year later with the slow chugger Infodrogue, backed this time by a Dub mix by Optimo Music‘s JD Twitch. The Gift, their third release and first physical one, just came out on Mugwump‘s label Subfield with two original tracks and two remixes by Factory Floor‘s Gabe Gurnsey and RüF Dug. As DJs, Front De Cadeaux only play 45 rpm 12″s slowed down at 33 rpm, perpetuating a Belgian New-Beat tradition initiated by pioneers such as Olivier Pieters or Fat Ronny in the late 80s. The result is nothing less than a unique and spellbinding listening experience as you can hear in this LYO#066 podcast. Enjoy !